Remarks: This ride is part of a longer trip to China, South Korea and Japan. While Jejudo is touristy, I was pleasantly surprised by its interesting sights and beautiful sceneries. Disclaimer: This trip was taken in July 2008. The information is provided ‘as is’ with no warranties and confers no rights. If you are interested to know more, please add a comment and I will update the post with more details. 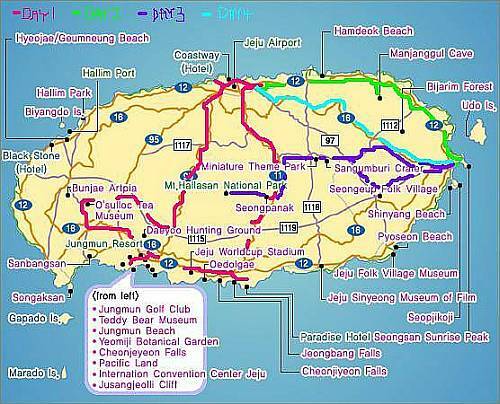 This entry was posted in Motorcycle Adventure Vacations, South Korea by atticus. Bookmark the permalink.